After three days in a row of practically perfect summer weather, Mother Nature has decided to change the plan just in time for the weekend. A strong coastal low will phase with a storm system over the Great Lakes to provide some truly nasty weather late Saturday through early Sunday. I've been comparing this forecast to one for a nor'easter, given the usual difficulties in pinpointing the storm track and weather impacts. All signs are pointing to a "worst-case" scenario for the Garden State — no it won't be the end of the world, but our weather is about to turn quite nasty. As this coastal storm system arrives from the south, we'll see scattered showers early Saturday turning to steadier light rain between about 10 a.m. and Noon. It will be a soggy but manageable afternoon as bands of rain continue to dampen the area. Models suggest the heaviest rain will arrive in South Jersey between 4 p.m. and 8 p.m. Drenching rain and ferocious winds will continue for the southern half of the state until about Midnight to 4 a.m. Sunday, before quickly coming to an end. All rain should be done by about 6 a.m. Sunday. For the northern half of the state, you're waking up dry on this Saturday morning. And you might just remain rain-free for the first half of the day. Light rain will most likely begin between Noon and 4 p.m. Heavy rain bands are forecast to arrive between 6 p.m. and 10 p.m. The peak of the storm, with pouring rain and fierce winds, will continue until about 2 a.m. to 6 a.m. Sunday. Rain should be completely done by about 8 a.m. Sunday. Exact rainfall totals are still highly dependent on 1.) the precise track of the storm system as a whole, and 2.) the precise location of the heaviest rain bands. Given the latest guidance, 1-2" of rain is a good bet for most of New Jersey — possible exceptions include the SW and NW corners of the state, which could end up a bit lower. Where it really pours, 2-3" of rainfall is a good possibility. If we get slow-moving or training storms (meaning they continually form and re-form over the same area), over 3" could fall in a few spots. The latest advisories from the National Weather Service, as of Saturday morning. Green=Flash Flood Watch, Blue=Rip Current Statement. The National Weather Service has issued a Flash Flood Watch from 2 p.m. Saturday until 6 a.m. Sunday for the 9 southernmost counties in New Jersey: Atlantic, Burlington, Camden, Cape May, Cumberland, Gloucester, Mercer, Ocean, and Salem. A watch is a formal "heads-up" that inclement, potentially hazardous weather is expected to occur. In this case, the watch cautions that "excessive rainfall in a short amount of time can lead to flash flooding. Urban areas, locations along small streams and creeks, and areas of poor drainage are vulnerable to flash flooding." Don't be surprised to see Flash Flood Warnings issued as the heaviest rain arrives. (That's one of the weather warnings that will automatically make your phone alert you.) Don't be surprised to encounter water-inundated roads if you're out and about Saturday evening. Remember to never attempt to cross flooded areas, as even a few inches of water is powerful enough to swamp and/or wash away a vehicle. Heavy rain by itself? Eh, just wet. Heavy rain plus wind? Downright nasty. As the center of the storm approaches (i.e. 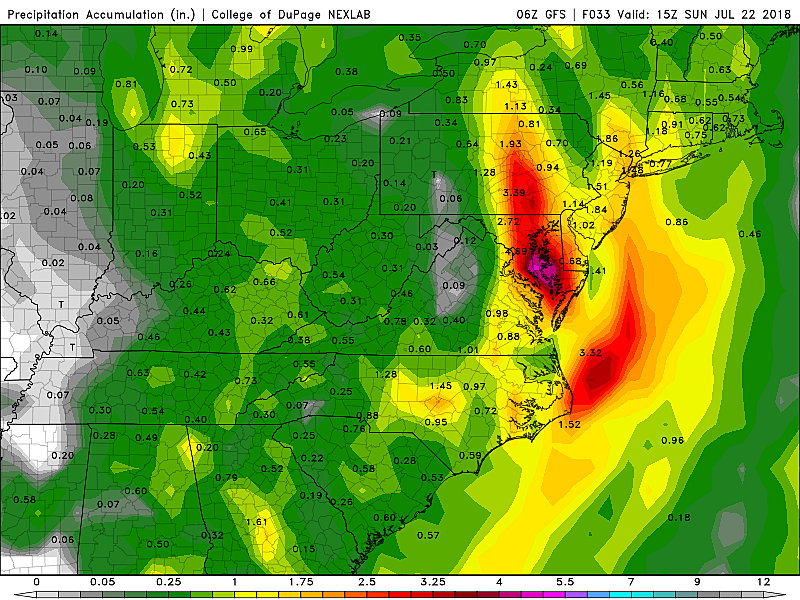 the period of heaviest rain) Saturday evening, the winds will pick up dramatically as well. Gusts to 40 mph are expected over most of New Jersey. Gusts to 50 mph are possible along the Jersey Shore. While not quite a "severe" wind (that's 58+ mph), it will be sufficient to relocate garbage cans, lawn furniture, outdoor toys, etc. Additionally, the combination of driving rain and strong winds will make conditions incredibly unpleasant, especially if you're on the road. Concern has grown about the potential for severe weather. Not really in the form of wind or hail, nor really rampant thunder and lightning. 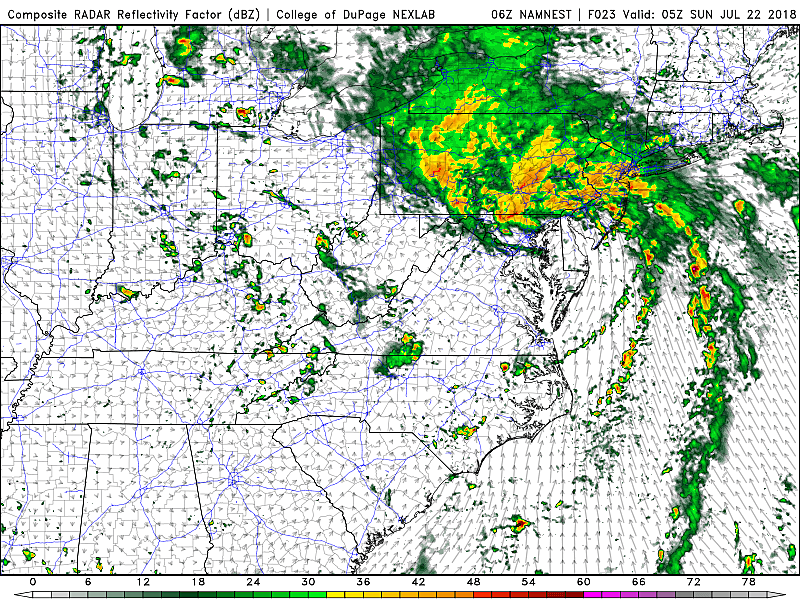 But the dynamics of this storm will support a low risk for a weak tornado. 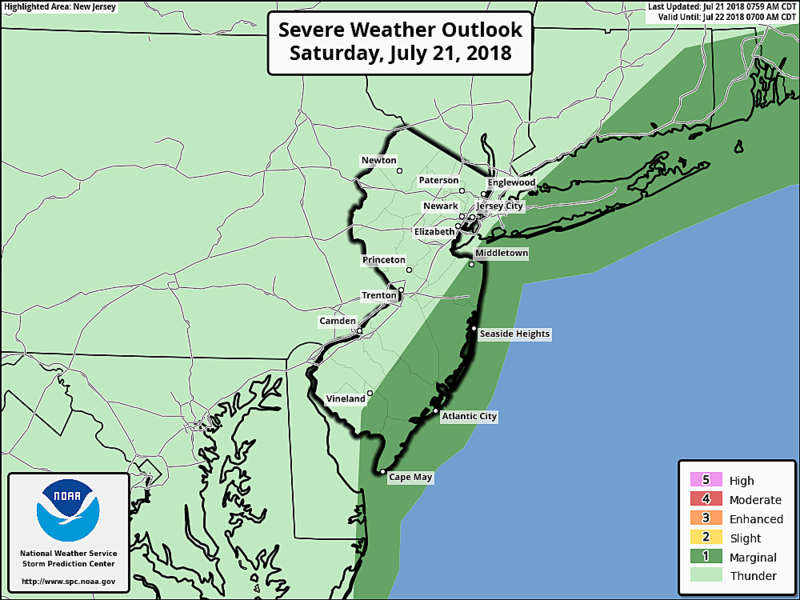 In fact, the Storm Prediction Center has placed the NJ coast in a Marginal Risk for severe weather through early Sunday morning. That reflects a 2% Tornado Risk. Again, low but not zero. The limiting factor here is instability, a measure of atmosphere's potential energy toward upward motion. If temperatures were a bit warmer, if the storm system were a little stronger, I'd be more concerned about the tornado threat. Best chance for a quick spin-up is during the storm's peak, between about 8 p.m. Saturday and 2 a.m. Sunday. (So don't go "tornado chasing" — you won't see a thing after dark.) It's just another good reason to stay home during the storm, if you can. First and foremost, a High Risk of dangerous rip currents and rough surf has been posted for the Jersey Shore all day Saturday. With ocean waves generally 3 to 6 feet, potentially climbing as high as 10 feet, red flags are flying at the beaches. Just stay out of the water. 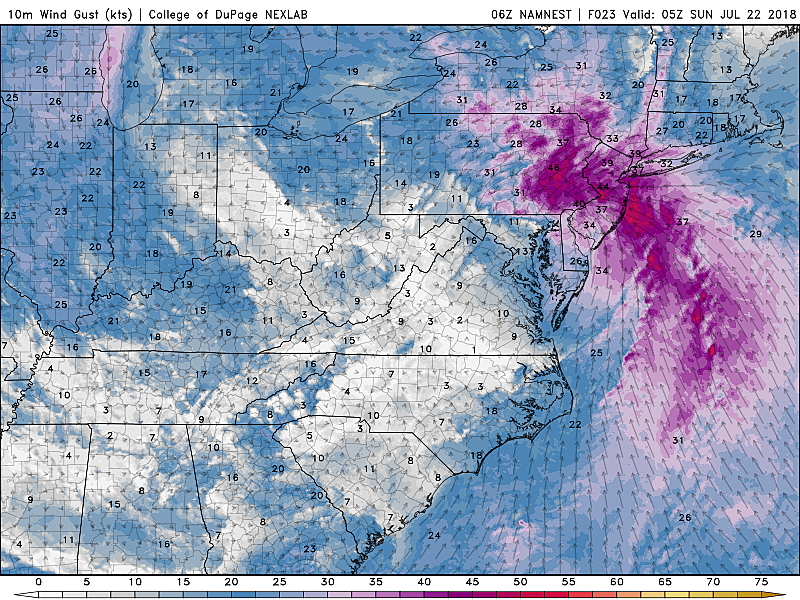 Additionally, this coastal storm and its associated wind field will push about a foot of extra ocean water toward the Jersey coast (surge). At the times of high tide, this could cause minor flooding — think of that as "the usual" low-lying places that flood almost every time there's a big storm. 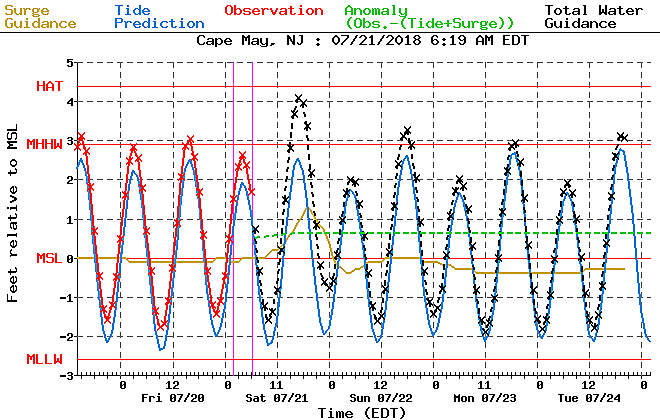 Saturday afternoon's high tide cycle will occur between 3:15 p.m. and 4:15 p.m. on the oceanfront. Back bays and inland tidal waterways peak up to 3 hours later. A Coastal Flood Advisory has been posted for Cumberland and Salem counties only, in effect from 4 p.m. to 9 p.m. Saturday. 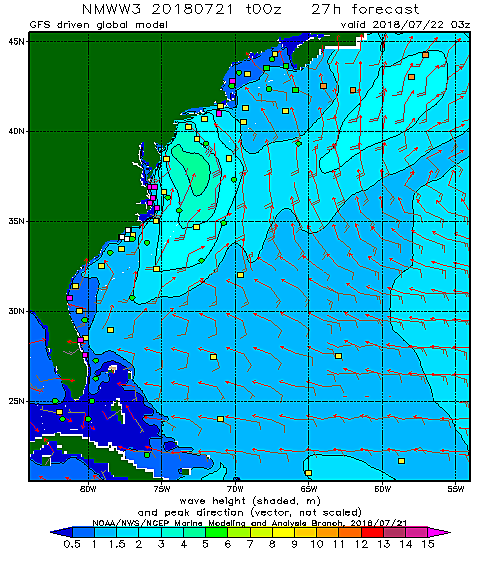 The advisory calls for increased swell on the Delaware Bay, and up to a half-foot of saltwater inundation. Common sense and extra caution will go a long way as the "brunt" of the storm arrives Saturday evening. Be smart and be safe!